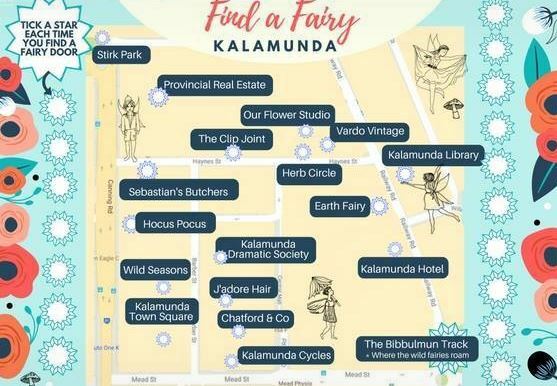 It all started with one fairy door and then they started popping up all over Kalamunda, so many in fact that a map was made to help find them. They have also more recently been seen in Mandurah too. Find out how to find them and how you can share your fairy door sightings here. To find Fairy Doors in Kalamunda head to Kalamunda Fairy Doors facebook. The current map is pinned to the top of this page. 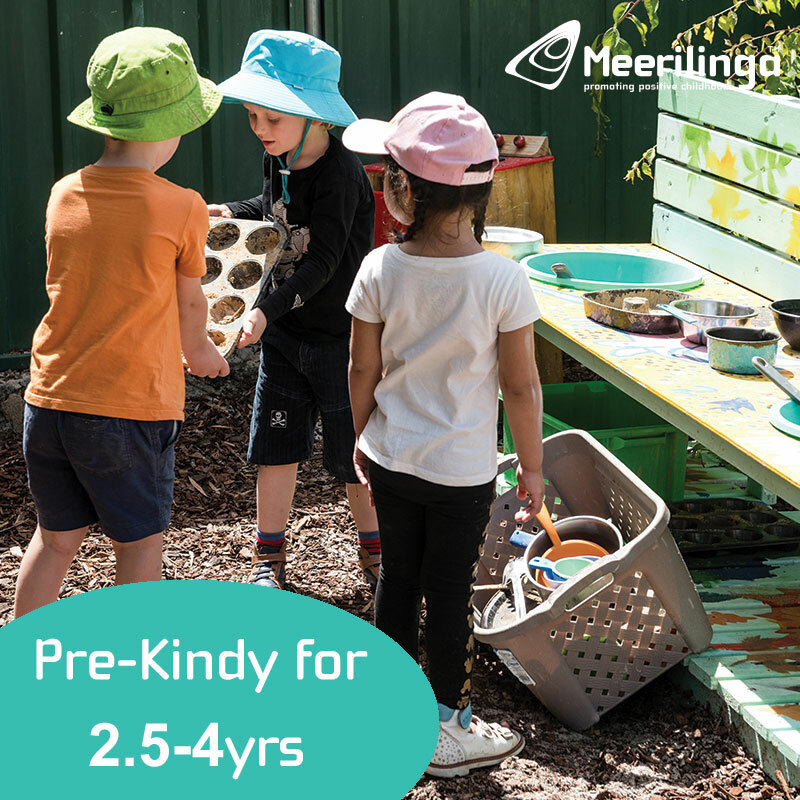 Locations include Stirk Park, The Clip Joint, Kalamunda Library, Kalamunda Hotel and many more. The fairies have spread their wings and set up homes across Ellenbrook too. 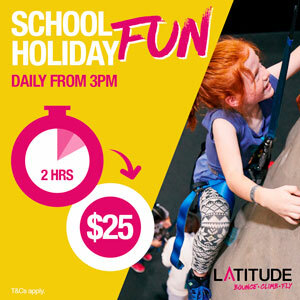 There are over 20 doors spread across Ellenbrook & Surrounds. 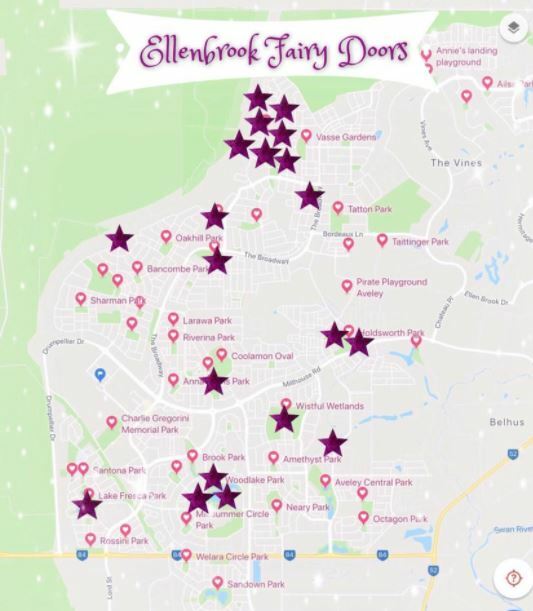 The map below shows fairy door locations and you can message the Ellenbrook Fairy Doors facebook for hints to help you find the doors. Oh and it seems they are rock loving fairies so bring your rocks along to swap along the way. Thanks to a community grant and some talented artists, 10 tiny doors have been installed across the Mandurah area. 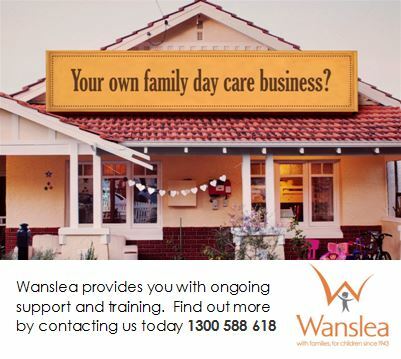 Head to Tiny Doors Mandurah facebook for an up to date map and more information. 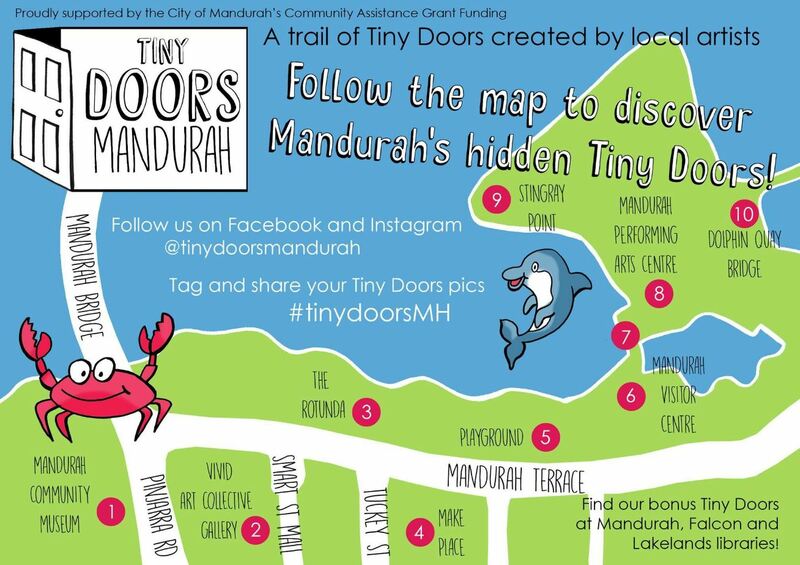 Tiny Doors Mandurah has finished for summer 2018, but head to their facebook to find about a new trail coming soon. 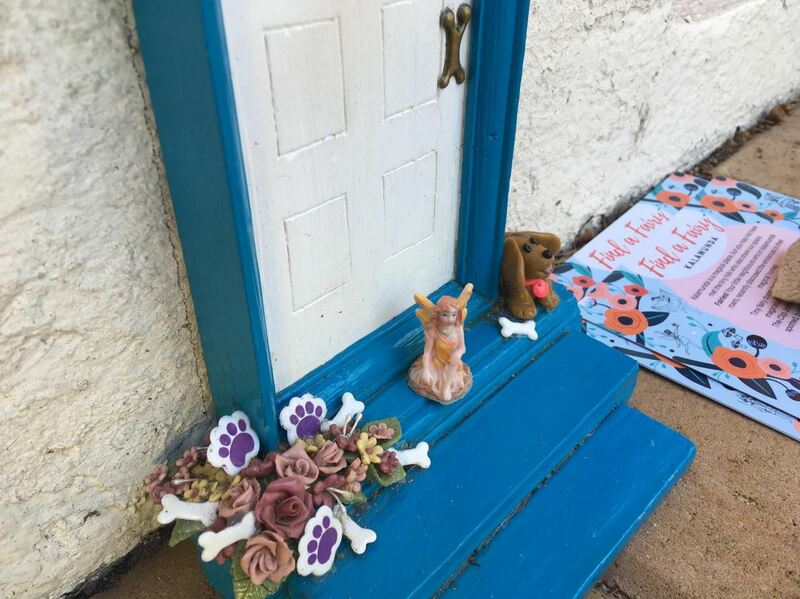 We have a feeling it wont belong before there are fairy doors popping up right across Perth, so if you find a new Fairy Doors location please contact us to let us know.